Looking for the best gaming monitor under $100? Look no further than the Acer SB220Q which features an IPS panel for vibrant colors, Full HD resolution for a clear image quality, and AMD FreeSync up to 75Hz for a flawless performance. Furthermore, the monitor boasts a slim design with ultra-thin bezels and offers additional exclusive gaming features. All of that under $100 makes its value unbeatable for the price! You may also see this monitor labeled as the Acer SB220Q bi. 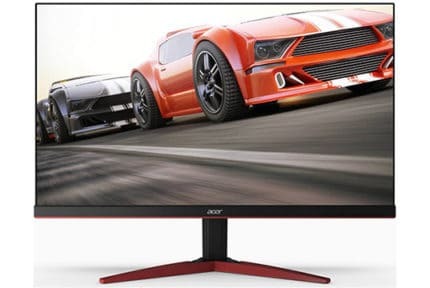 The Acer SB220Q monitor is based on an IPS panel which delivers accurate, consistent, and intense colors that will breathe life into games, movies, and everything else you’re watching, when compared to the usual monitors with TN panels you can find at this price point. 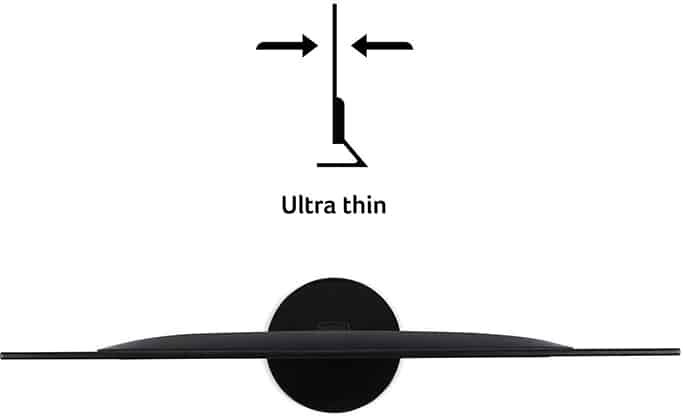 Another thing that makes the IPS panel superior to TN and VA panels are the viewing angles of 178 degrees both horizontally and vertically which ensure that the picture won’t shift in color and contrast when it’s viewed from skewed angles. Although the Acer SB220Q is a bit smaller in size when compared to the popular 24-inch budget variants, there is an upside to it; since the screen is smaller, the screen resolution will have a more dense pixel count making the picture clearer with more details and screen space. Moving on, the Acer SB220Q IPS monitor has a response time speed of 4ms which may not be as quick as that of a TN panel display, but it’s more than enough to eliminate most of ghosting and motion blur in fast-paced games. In a nutshell, the response time speed is not an issue when gaming and neither is input lag with a top-level performance of ~10ms. Although the jump to 75Hz from 60Hz is not nearly as impactful as going to 144Hz, it’s certainly noticeable. If you can’t tell the difference, try playing at 75Hz/FPS for a while, and then switch back to 60Hz and see for yourself! 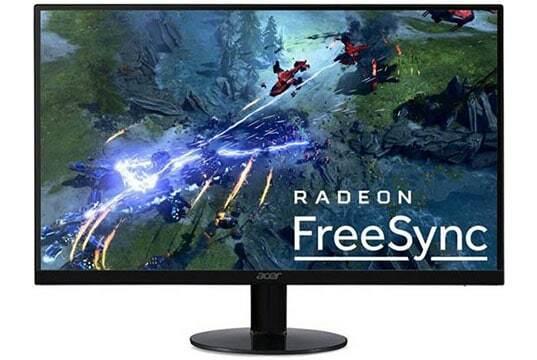 If you have an AMD FreeSync-compatible graphics card, you can synchronize its frame rate to the refresh rate of the Acer SB220Q. 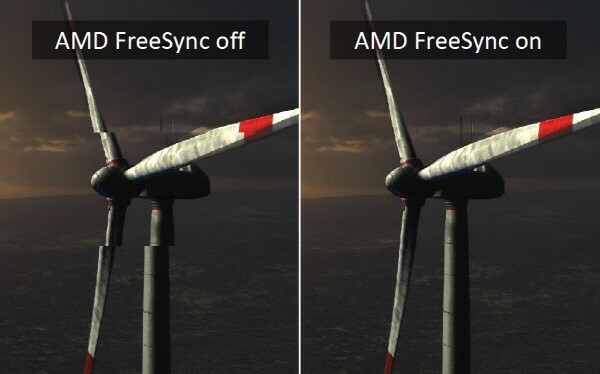 Once you enable FreeSync, the monitor will change its refresh rate dynamically according to the GPU’s performance. This will eliminate all screen tearing and stuttering without significantly increasing input lag. 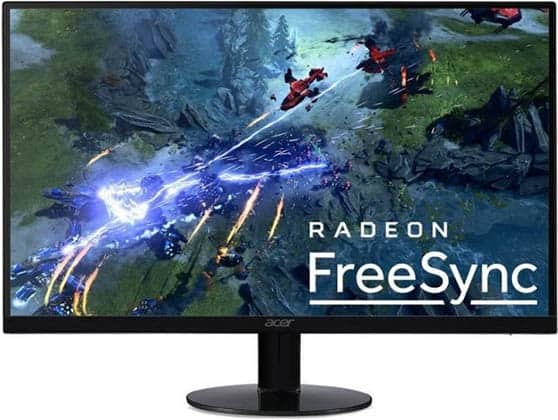 The Acer SB220Q FreeSync range within which the dynamic refresh rate functions is 48-75Hz/FPS (Frames Per Second) meaning that if your FPS rate drops below 48, FreeSync won’t work until the frame rate increases again. In case you have an NVIDIA card, you can still use the monitor up to 75Hz but without the dynamic refresh rate. 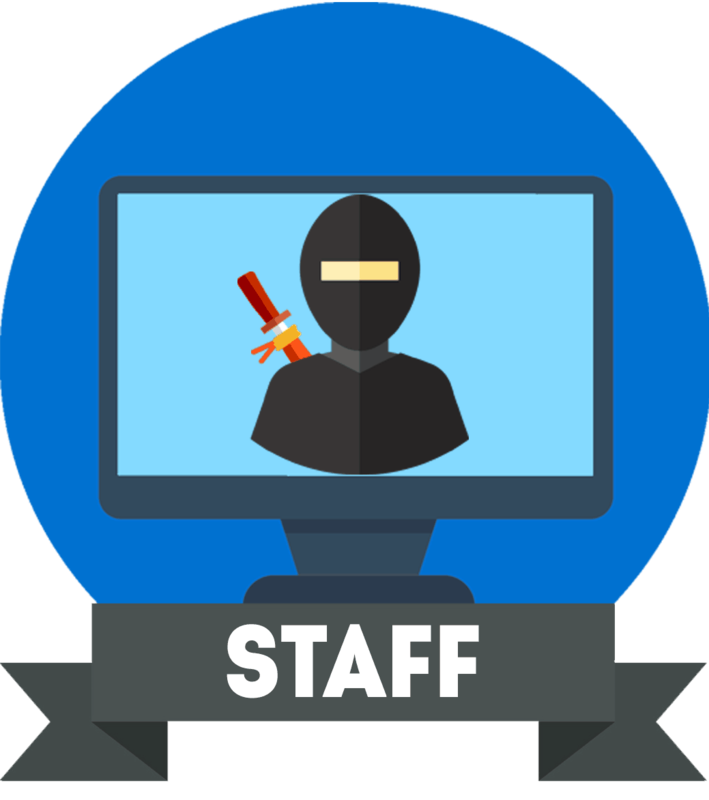 In addition to the standard picture adjustments in the OSD (On-Screen Display) menu such as contrast, brightness, gamma, and color settings, you will find extra features for gaming purposes. First of all, the ‘Aim Point’ feature offers three crosshair overlays for better precision in FPS games. Next, ‘Black Boost’ increases visibility in dark parts of video games, and ‘Over Drive’ further improves the response time speed with three settings: Off, Normal, and Extreme. Note that if you enable FreeSync, you won’t be able to select the Extreme over drive mode. Finally, there are three pre-calibrated picture presets for Action, Racing, and Sports types of games as well as a customizable gaming profile. Just like most modern displays, the Acer SB220Q 75Hz gaming monitor is flicker-free and has a built-in low blue light filter, so you won’t get eye fatigue or headaches from looking at the screen for a prolonged time. The Acer SB220Q features a 0.24-inch thin design with the ZeroFrame ultra-thin bezels which makes the monitor look more expensive. Due to its thin bezels and cheap price, it’s also a great display for a multi-monitor gaming setup. Unfortunately, the monitor’s isn’t VESA mount compatible and you can only tilt the screen as far as ergonomics are concerned. Connectivity includes an HDMI port, a VGA port, and a headphones jack. The Acer SB220Q price amounts to only $89.99 making it the best monitor under $100 due to its stunning image quality, smooth performance, modern design, and the plethora of gaming features. It’s also available as a 23″ variant, the Acer SB230 for ~$110. 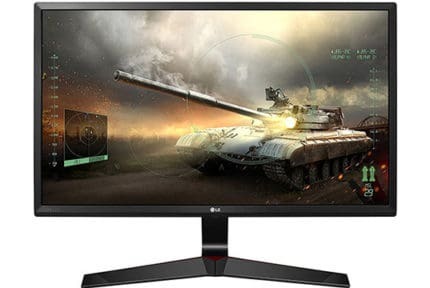 However, at that price range, we recommend the LG 24MP59G which also has a DisplayPort allowing FreeSync to work with NVIDIA cards as well. There’s also a 27″ model, the Acer SB270, available for around $170 though we recommend the LG 24MP59G here as well since 1080p results in a low pixel density on a 27″ screen. Moreover, the Acer SB270 has no DisplayPort. Both the Acer SB270 and the Acer SB230 feature the same specs as the SB220Q. However, they also offer a backlight strobing technology called 1ms VRB (Visual Response Boost) for CRT-like motion clarity in fast-paced games. If $100 is all you can afford to spend on a new monitor, the Acer SB220Q 22″ IPS display is definitely the best bang for the buck, especially if you have an AMD FreeSync graphics card. In case you want something better or bigger, make sure to check out our best gaming monitor under 200 USD buying guide for 144Hz, curved, and ultrawide models! The Acer SB220Q offers an amazing image quality and performance for its price thanks to its IPS panel, 1080p resolution, AMD FreeSync, 75Hz refresh rate, and numerous gaming features. It also boasts a modern slim design with ultra-thin bezels!